Honda Cars India Ltd. (HCIL), leading manufacturer of passenger cars in India, today announced the introduction of ‘Privilege Edition’ of its globally successful Premium Hatchback, Honda Jazz. The Privilege Edition comes enriched with advanced infotainment system, enhanced interiors and exteriors and new safety & technology features. Privilege Edition themed premium beige seat covers and premium floor mats. Speaking about the Privilege Edition of Jazz, Mr. Jnaneswar Sen, Sr. Vice President, Marketing & Sales, Honda Cars India Ltd said, “Our festive offering of Honda Jazz Privilege Edition, with advanced infotainment, security and comfort features, is a great value for our customers at a very attractive price and strongly enhances its appeal. HCIL has witnessed strong sales momentum in this fiscal year with a cumulative growth of over 21% since April 2017. We hope to continue this trend through the festive season.” he added. The newly designed premium seat covers with ‘Privilege Edition’ embossing offer a very comfortable seating for its occupants. 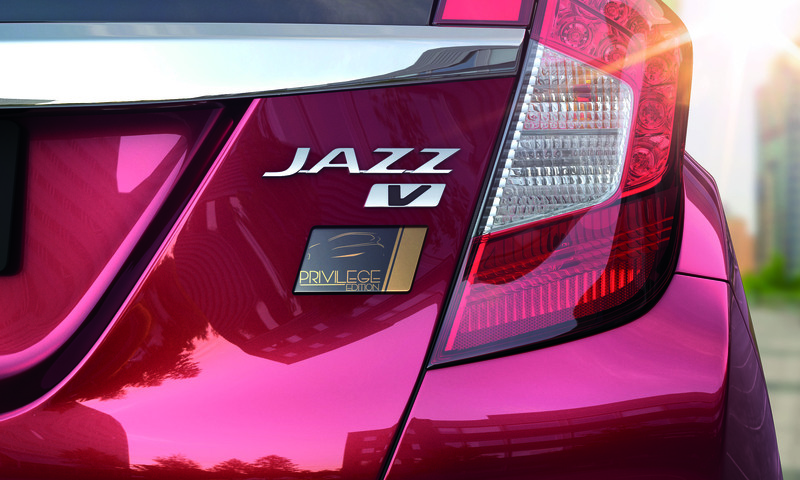 The rear-parking sensors help in a safer and more convenient parking experience. Additionally, the Honda Connect app offers a unique sense of round-the-clock safety, security and convenience to the owner. Convenience Features with Online Service & Booking notification, New Products and Campaigns alert with customer feedback directed to the company.